A dedicated Lake Forest Park criminal defense team that won’t back down. To be charged with a crime is one of the most worrying experiences that a person can go through. During this unsettling and complicated time, it is absolutely necessary to have a criminal defense attorney who you trust on your side to fight for your rights in court and provide you the fair trial that you deserve. At the Law Offices of Lake Forest Park criminal attorney Jason S. Newcombe, we understand how you’re feeling - and our job is to assist you and those close to you in any way that we can. Our passion is representing you fairly at trial, and we treat each of our valued clients without judgment and with complete respect. 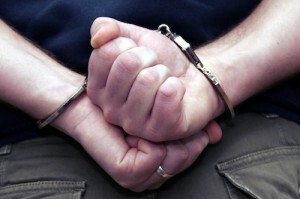 When Should I Hire a Lake Forest Park Criminal Defense Lawyer? If you have been arrested or accused of being involved in a crime, it is essential to consult a Lake Forest Park criminal defense lawyer as soon as possible. As an accused person, you are afforded certain rights - including the right to consult with your attorney before answering questions from the police. Law enforcement officials are sometimes known to take advantage of people who are unaware of their rights, and consulting Lake Forest Park criminal defense attorneys ensures that you will be safe. Many of our clients come to us for legal aid after they have already pleaded guilty or made self-incriminating statements to the police. Some of our clients feel they were pressured by law enforcement into accepting a resolution for their case that they did not feel comfortable with. It is extremely important to get in touch with a Lake Forest Park criminal lawyer before making any statements to the police. Why Choose Jason S. Newcombe? The impact of being accused of a crime can follow you for the rest of your life. Although you may have been accused of no more than a misdemeanor, your criminal history can interfere with your work life, your driver’s license, and your ability to borrow money. Our Lake Forest Park criminal defense lawyers understand your unique legal circumstances, and we’re prepared to help you understand what might happen to you and how to improve your situation. Our knowledgeability in regards to the Washington State legal system helps us build a plan for you, and our experience means that we are already familiar with the judges and prosecutors who will be handling your case. By carefully investigating all evidence against you, researching your case, and discussing options with the DA’s office, our Lake Forest Park criminal defense attorneys will do anything possible to help reduce the charges against you or even have them dropped. Our office handles a wide range of different misdemeanor and felony criminal charges. We offer affordable low, flat fees and flexible payment plans. Contact us online or call us today to learn more about how our staff can assist you.